MEIS Department Holds First Event of the Year | The Gettysburgian. On Wednesday, September 19, the Middle Eastern and Islamic Studies (MEIS) House held its biannual Open House to kick off the Fall 2018 semester. Co-sponsored by the MEIS Department and MEIS House, this Open House gave Gettysburg faculty and students alike the opportunity to enjoy homemade falafel and hummus made by Arabic language Professor Abdulkareem Said Ramadan, traditional Moroccan tea provided by Arabic PLA Spencer King, and a lively discussion about the future of the MEIS Department. As Professor Abdulkareem Said Ramadan shared stories of past MEIS Department events, there was an air of excitement surrounding the future of the MEIS department. With the help of King and the other MEIS faculty, Said Ramadan hopes to host more public events like the Open House. From faculty lectures to Arabic movie nights, calligraphy classes, cooking demonstrations, common reads, study abroad discussions, and open discussions about current events, the MEIS Department is ready to increase its public presence on campus. The Open House also provided the opportunity for new Arabic students in the 101 class to connect with upperclassmen. First years and other Arabic beginners were able to speak with returning students about their experience of learning Arabic and share their study tips. Students and faculty from outside the MEIS department were also in attendance. 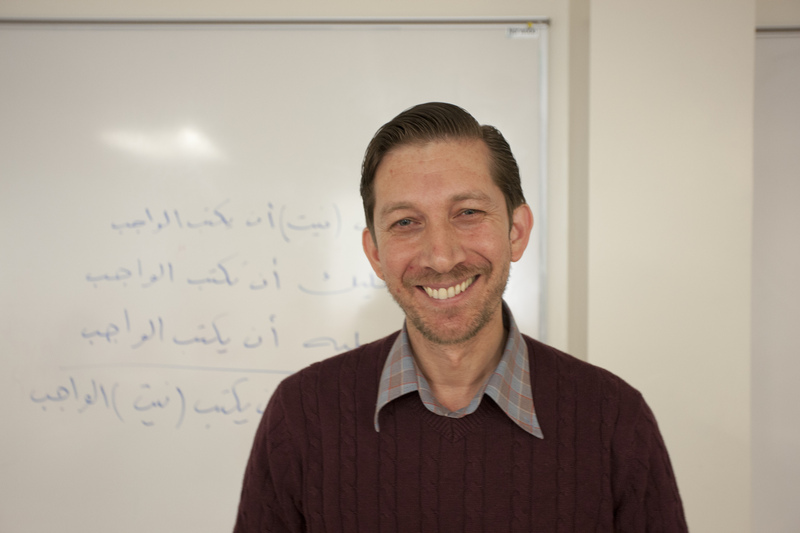 Said Ramadan and King hope that as the MEIS Department continues to host more public events, it will be able to engage more of campus in discussing and understanding the modern Middle East. This Thursday, September 27, the MEIS House will be hosting Arabic Movie Night and screening Where Do We Go Now? (with English subtitles). All are welcome!